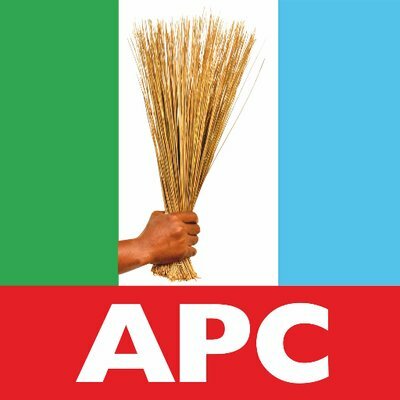 Political groups, women, youths and trade unions in Yobe North on Sunday unanimouly resolved to support the re-election of President Muhammadu Buhari and Sen. Ahmad Lawan, as well as the election of Alhaji Maimala Buni as Governor of the state in the 2019 general elections. Sen.Ahmad Lawan (APC), is the current Senate Leader. The decision was taken in Gashua at an enlarged meeting of political associations, women and youth organisations which cut across various political parties. Alhaji Umar Kukuri, Chairman of the Inter Party Advisory Council (IPAC) in the state, said the decision was taken in the interest of the state, after a careful analysis of the peculiarities of the area. “Politicians from various political parties, women, youth groups and elders put their political differences aside and deliberated on the future of the state to arrive at the resolution to support the re-election of President Buhari and the election Maimala Buni as governor of the state in 2019,” Kukuri said. Kukuri, who is also the state chairman of the National Conscience Party (NCP), lauded the Buhari administration for restoring peace and security in the North-East and giving the people a new hope for life. “Similarly, the outgoing administration of Alhaji Ibrahim Gaidam has done so much in healthcare delivery, education, road network, prompt payment of salaries, gratuity and pension, we have seen Maimala with the capacity to sustain and improve on these achievements,” he said. Alhaji Idi Jugujugu, former PDP state official, said “the emergence of Maimala Buni as APC governorship candidate was a divine intervention because, we as a people committed the emergence of our next governor to God through extensive prayers, so, Maimala is the choice of God for the state”. Alhaji Sani El Katuzu, former National secretary of the defunct All Nigeria Peoples Party (ANPP), said the resolution by the numerous interest groups was to give Yobe good representation at both state and national levels. Malam Hassan Shettima, a youth leader, said “the support provided by individuals ,especially the masses, was quite overwhelming, adding that, “more groups are coming in daily in solidarity to Buhari and Maimala”. “Everyone is making individual and collective contributions to ensure that Yobe is delivered to President Buhari and Maimala Buni,” Shettima said.